Want to run Clod wheels on your truck? These machined aluminum wheel wideners provide the extra width needed to allow you to fit the larger Clod wheels & tires to your rig! They also provide extra stability for your truck. These 20mm long machined spacers are designed to fit any pin-driven 12mm wheel and/or axle. 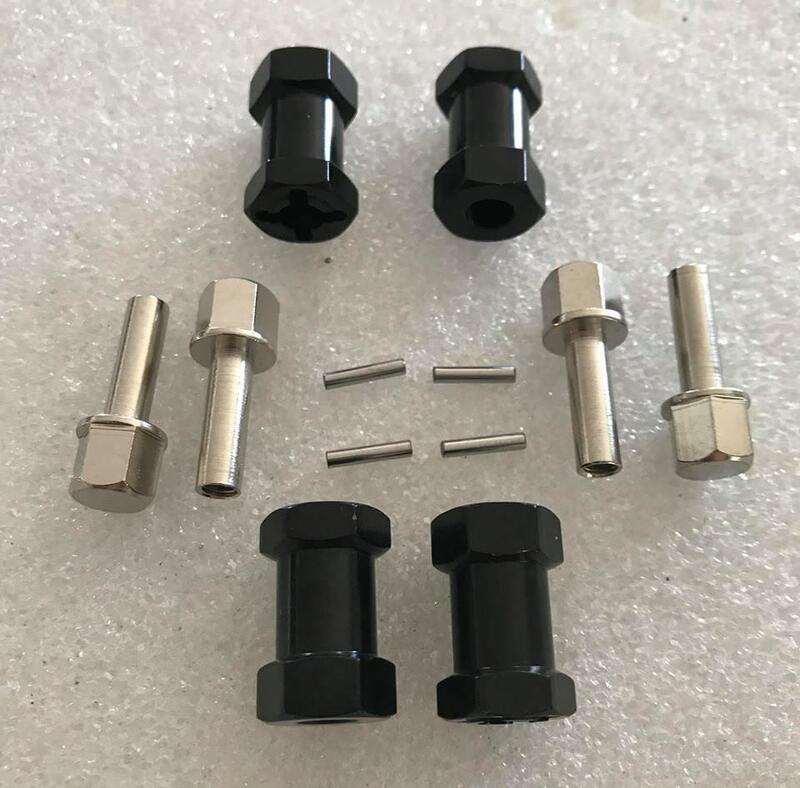 Each kit comes with a full set of 4 machined aluminum spacers, 4 16mm long m4 barrel nuts, and four axle pins for installation. Notes: Blue Loctite is recommended when installing barrel nuts to ensure they do not loosen during running. These spacers will NOT work directly on a Clodbuter/Jugg/TXT as these spacers require a pin-drive axle.